Next to the famous contemporary art exhibition „documenta“, the German city Kassel owns a rich variety of art collections, museums, monuments and other tourist features like the UNESCO World Heritage „Bergpark Wilhelshöhe“, which are spread over the city area. 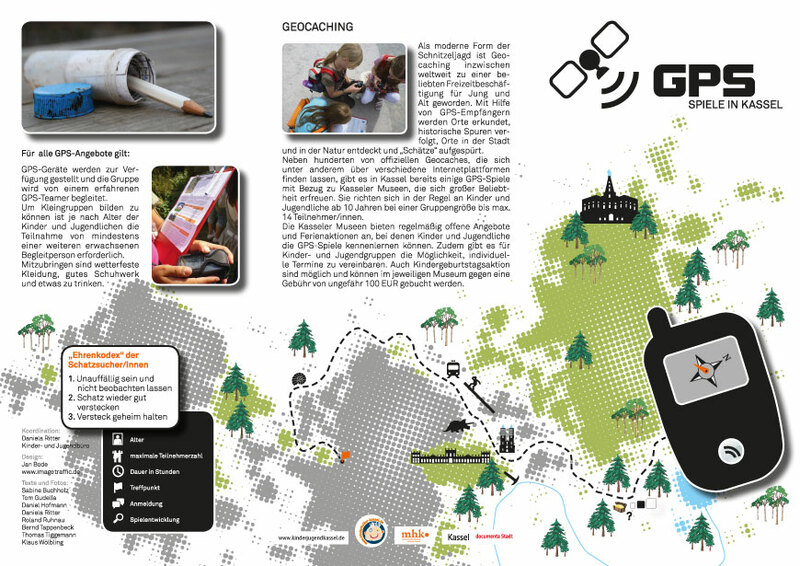 In 2013, the city’s cultural office developed in cooperation with the Museumslandschaft Hessen Kassel five educational GPS-based sight-seeing tours to connect the several locations with the aim to make the visit of the cultural, scientific and historic sites more appealing to children, teenagers and a sportive public. 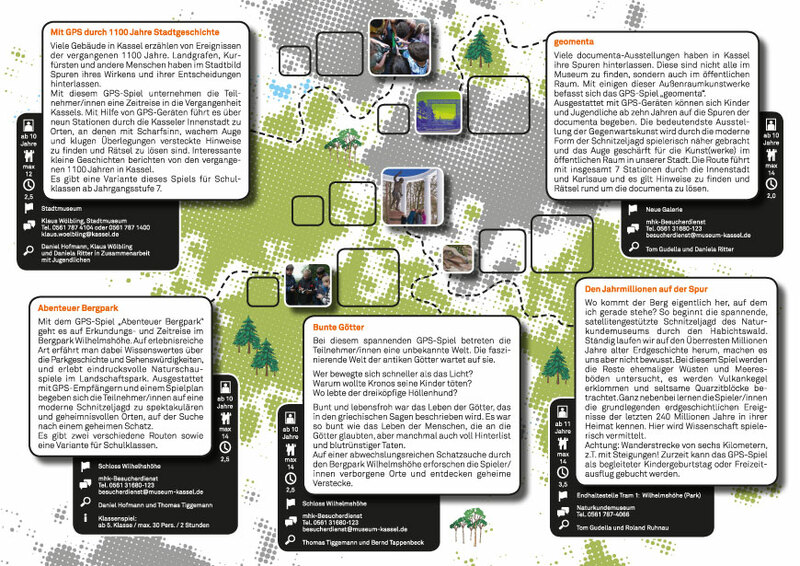 Image.traffic designed the folder and the poster for the campaign.